Paris has always been on my list of places to visit; so many places in the city have been featured in my favourite films that it’s like touring a film set. But in the end it was the food that excited me most about finally visiting Paris, especially the sweets. 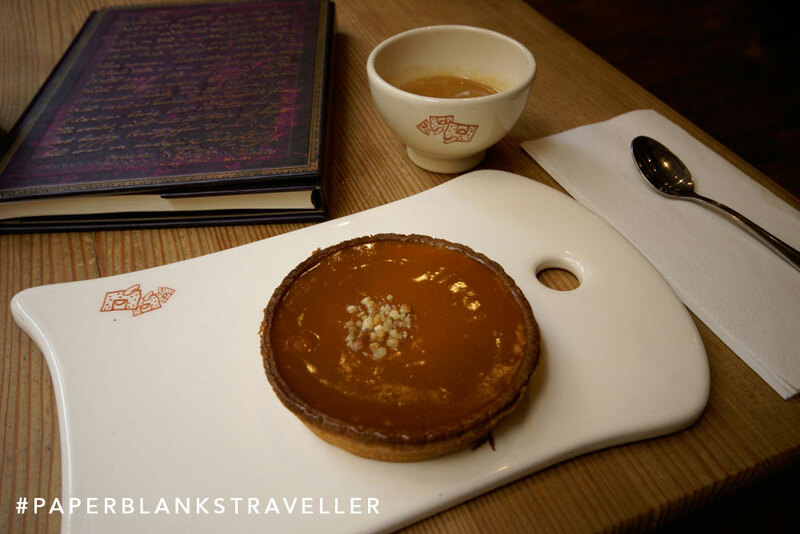 This caramel tartlet was recommended by the waitress in a lovely, small coffee shop in Montmartre; she even shared the recipe with me. Good thing that I had my Poe Dayplanner in my camera bag! 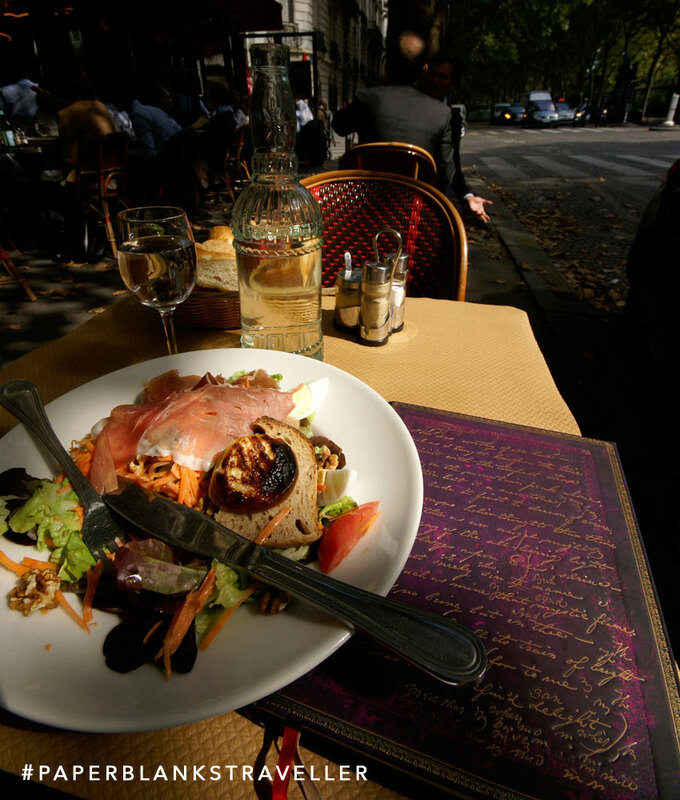 This second photo comes from an afternoon sitting outside in the sunshine on Boulevard de Courcelles (having an amazing salad) and watching people passing by. 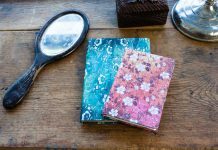 There is still so much to see and so much food to try in Paris that I had to make notes in my Paperblanks® Dayplanner about which places I have to see on my next trip!